The Detroit Pistons made it back to the playoffs this season for the first time since 2015, but they had a rough go of things against the No. 1 overall seed Milwaukee Bucks once they got there. Losing all four games by at least 16 points, the Pistons were swept out of the postseason in fairly embarrassing fashion. To be fair to them though, they were nowhere near as talented as the Bucks, especially given Blake Griffin's injury trouble. The Pistons star missed the first two games of the series dealing with a sore knee that hampered him down the stretch in the regular season. And though he returned for Games 3 and 4, he wasn't at 100 percent, and his presence wasn't enough. Now, with the Pistons' season officially over, Griffin has undergone an arthroscopic knee surgery that the team hopes will fix the issue. Blake Griffin underwent a successful arthroscopic procedure on his left knee today. The procedure addressed the issue causing soreness in the knee during the club's final two weeks of the season & playoffs. He is not expected to miss any planned offseason training or preparation. Griffin was fantastic for the Pistons this season and was largely responsible for the fact that they even made the playoffs in the first place. He averaged 24.5 points, 7.5 rebounds and 5.4 assists per game while shooting over 36.2 percent from downtown. With him in the lineup, the team went 39-36, but in the seven games he missed, they were just 2-5, with one of those wins coming against the lowly Knicks on the final day of the regular season to clinch their playoff spot. 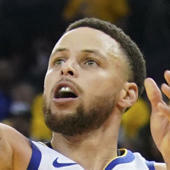 Some reports early in the series indicated that Griffin would miss the entire first round, but proved not to be true, largely due to Griffin's insistence on playing. After he was held out early in the series, Griffin told the media, "If it was just my decision, I would have played." The good news for the Pistons is that this procedure seems rather minor, and not only will Griffin be ready for next season, but he shouldn't miss any of his regular offseason preparation. That's great news, as this series showed they'll need him at 100 percent next season if they want to get back to the postseason.